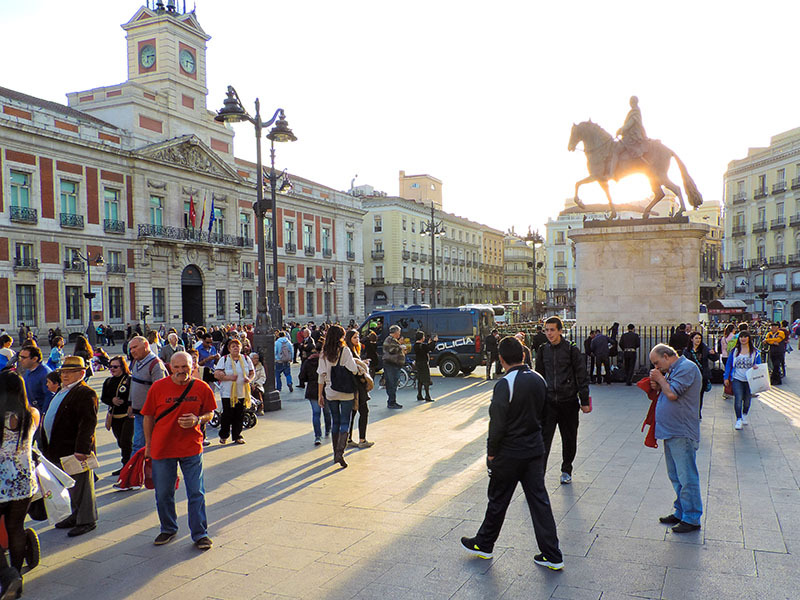 Madrid is one of Europe’s most vibrant capitals. More importantly for travelers, however, it also differs dramatically from every other city in Spain. It is a vast, sprawling metropolis that can overwhelm travelers with the incredible variety of things they can do. For starters, it has two royal palaces. And three world-class art museums. And amazing places to shop, ranging from fashionable boutiques in the Salamanca district to the down-and-dirty El Rastro flea market. Its many districts contain an astonishing number of restaurants and cafes. They range from simple tapas bars to scores of upscale restaurants, including the posh Teatro Real (the Royal Theater). In fact, you can pretty much walk along any street, and you’ll find scores of neighborhood cafés and bars. I can never get enough of it. But it’s also a big, sprawling city. To make the best use of your time you need to plan. 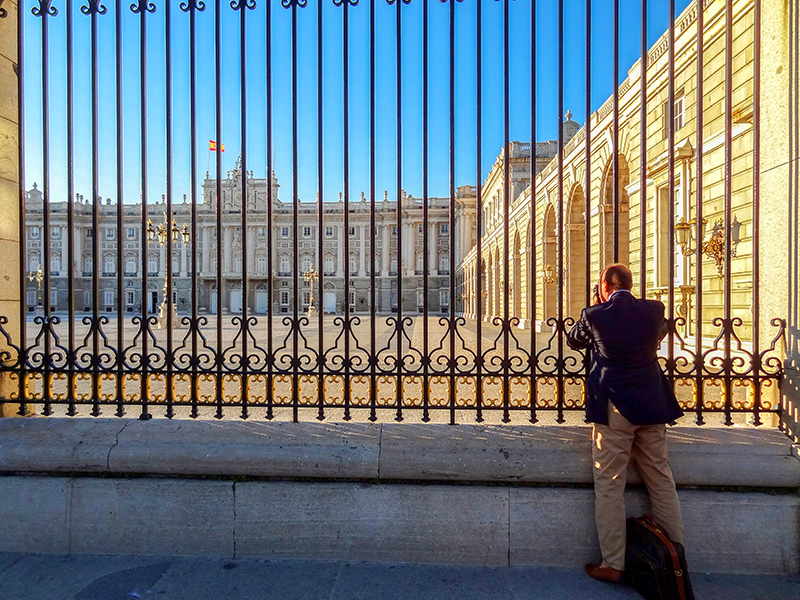 To help you mold that plan, here are my thoughts on the top 10 places to see in Madrid. They’re set in no particular order and may differ from those of other bloggers and writers. But I’ve found each to be exceptionally satisfying. Palacio Real, Spain’s Royal Palace was completed in 1764 and was the home of the country’s Bourbon rulers. The design of Bernini’s plan for the Louvre in Paris inspired it. It’s a spectacular place whose 3,418 rooms cover more than 33 acres, making it the largest palace in Europe by floor area. It contains an array of spectacular rooms including a huge dining room, throne room, armory, and royal chapel. The Royal family no longer resides here but in a more modest palace on the outskirts of the city. Still, though, you can see the changing of the guard at noon on the first Wednesday of the month. 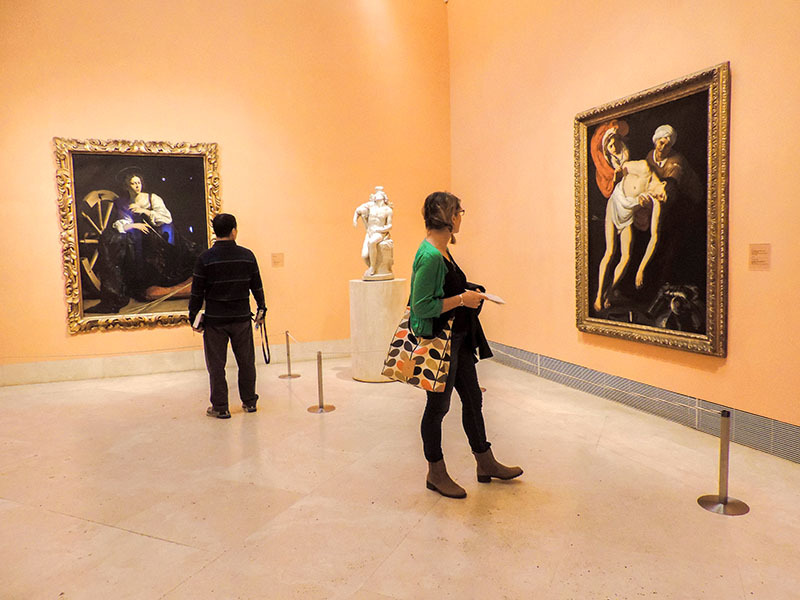 With one of the greatest art collections in the world, the Prado is always popular with travelers. I’ve returned to it numerous times. 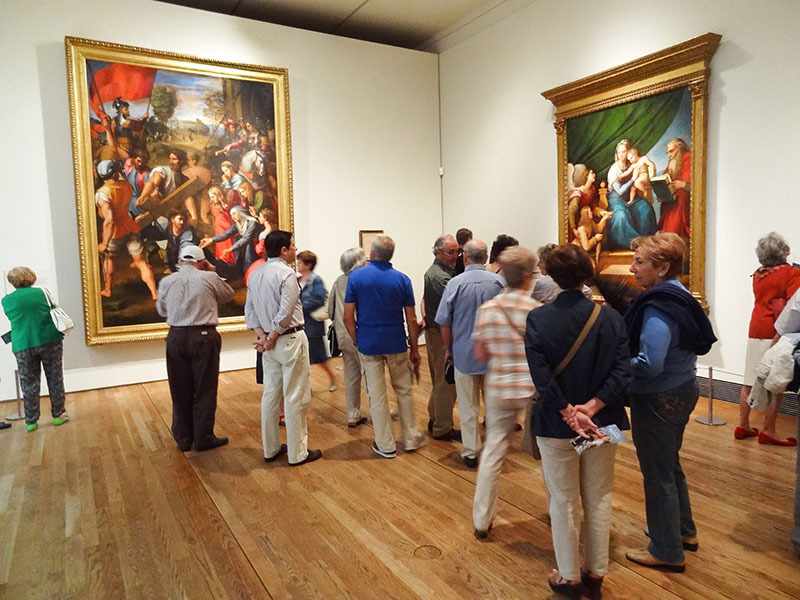 While it contains a wide array of treasures, it is most famous for its collection of works by Spanish masters. These include 114 works by Goya and another 50 by Velázquez. There are also numerous masterpieces by Rubens, Fran Angelico, Raphael, Botticelli, and Titian. Other artistic treasures are in the Royal Collection of 16th-17th-century paintings transferred to the museum from palaces throughout Madrid. 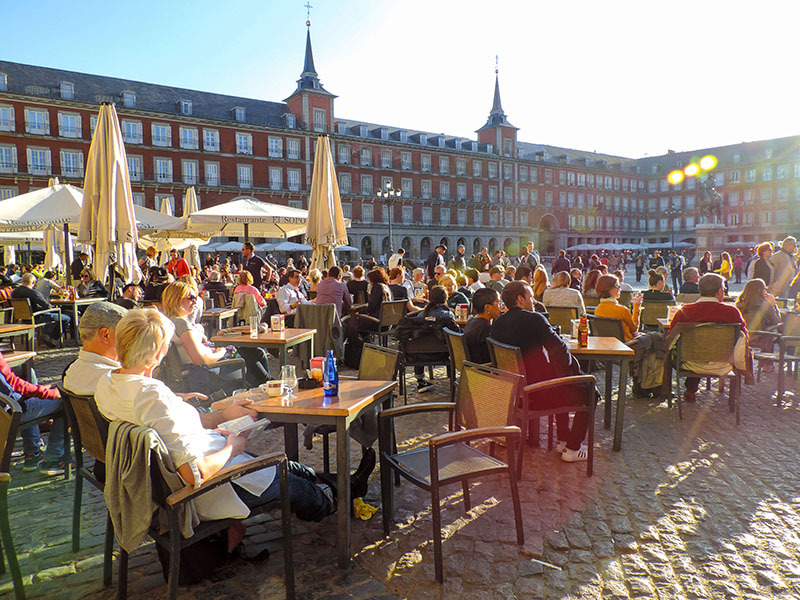 In Madrid the Plaza Mayor is one of my top places, as it is for countless other travelers. With a statue of King Felipe III in its center, it’s a beautiful square that can hold 50,000 people. It is a great place to sit and have a drink or meal or just people-watch. I’ve always found it at its best in the late afternoon as the cafés fill with patrons and the sun paints it with dramatic light. It was built in 1619 and lay outside the city walls, and was redesigned in the late 18th century. Over the years it has been used as a bullring, open-air theater, market, and a place for executions. Have a drink, watch the mimes and enjoy the atmosphere. The Thyssen-Bomemisza is part of the museum triumvirate that includes the Prado (a short walk away) and Museo Reina Sofia. Its concentration is on 13th-20th-century European paintings, and its collection is considered one of the most important in the world. The museum’s masterpieces were part of the collection of the industrialist Baron Heinrich Thyssen-Bomemisza. After his death, his son added to the collection. The museum’s collection includes both Old Masters and more modern works by German Expressionists and French Impressionists. 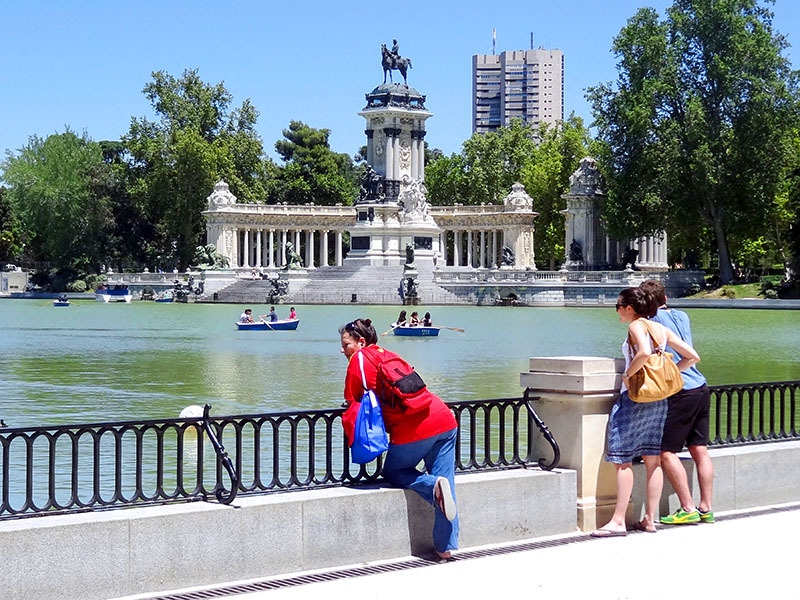 Retiro, a 350-acre park in the center of Madrid, is a perfect place to lull on a hot day. Once owned by the Spanish Monarchy, it reverted to public use in the late 19th century. It’s an attractive place with statues and sculptures, as well as lakes (with rowboats), ponds, and a formal French garden. There are also concerts and a puppet theater for children. It’s a relatively quiet place during the week but a bit more raucous on Sunday. 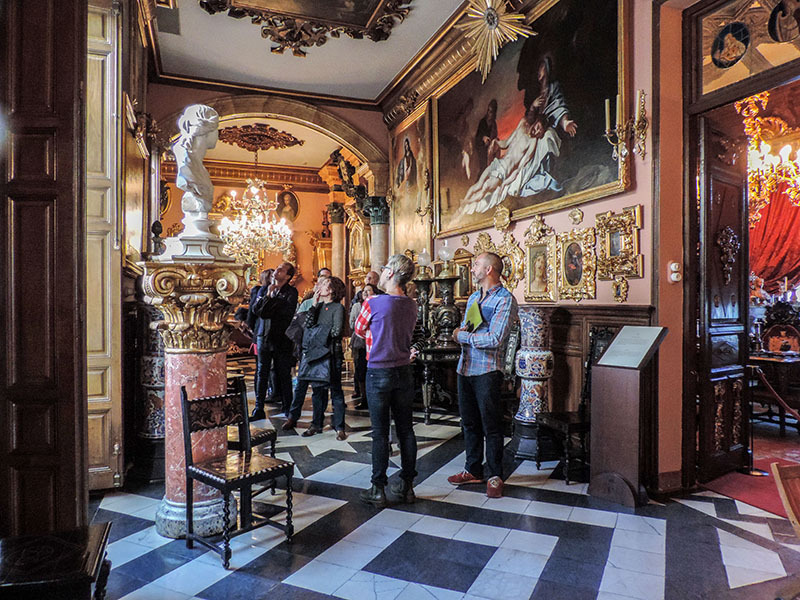 The Museo Cerralbo doesn’t draw anywhere near the crowds you’ll find in the Prado and other major museums. Nevertheless, you’ll likely fall in love with this place. It’s the former home of the collection of Enrique de Aguilera y Gamboa, the 17th Marquis of Cerralbo. The Marquis was an archaeologist, politician, poet and avid collector. The grand old mansion shows you how wealthy Madrileños once lived and it is both beautiful and fascinating. There are suits of armor from around the world, Oriental carpets, tapestries, musical instruments, porcelain and artwork by Van Dyck and El Greco, among others. There’s even a ballroom on the second floor. Mercado San Miguel is just steps away from an archway on the Plaza Mayor. 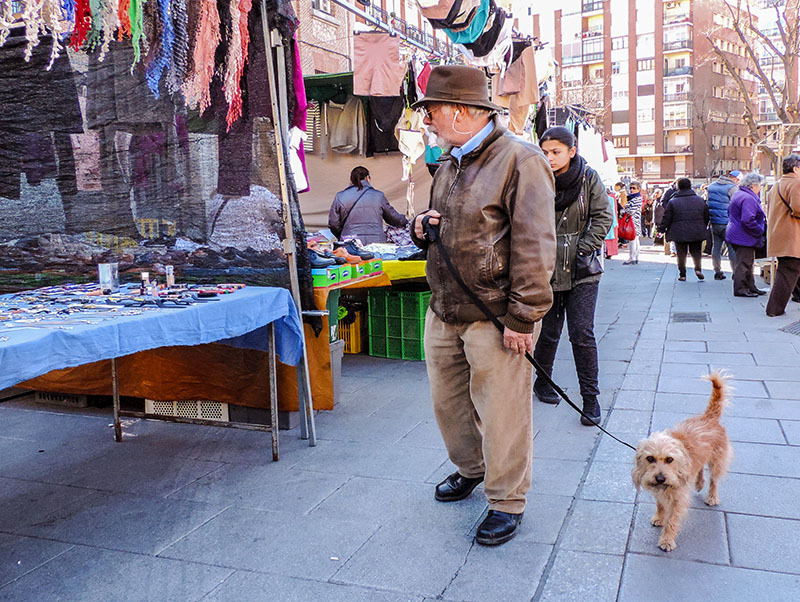 It’s one of the most attractive markets in Madrid among tourists, likely due to its central location. It’s not a traditional grocery market, however. Set in a Beaux-Arts building, it’s home to more than 30 different vendors. They sell a wide variety of tapas (quite varied and delicious) and other foodstuffs along with wines, champagne, and beer. The crowd is a good mix of tourists and locals, which says something about the quality of the food. 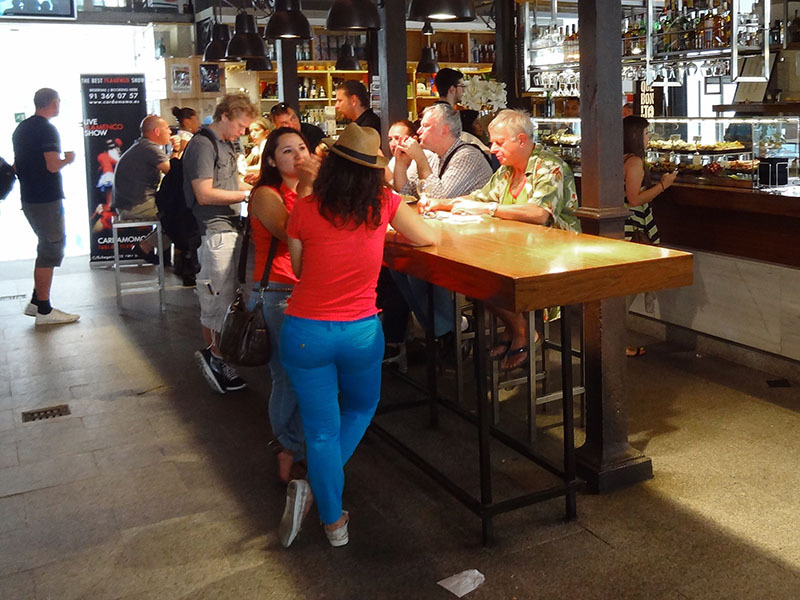 It’s a great place for lunch or afternoon snack since you can have little meat, fish, cheese and vegetable tapas, Then wash it down with countless varieties of beer and wine. 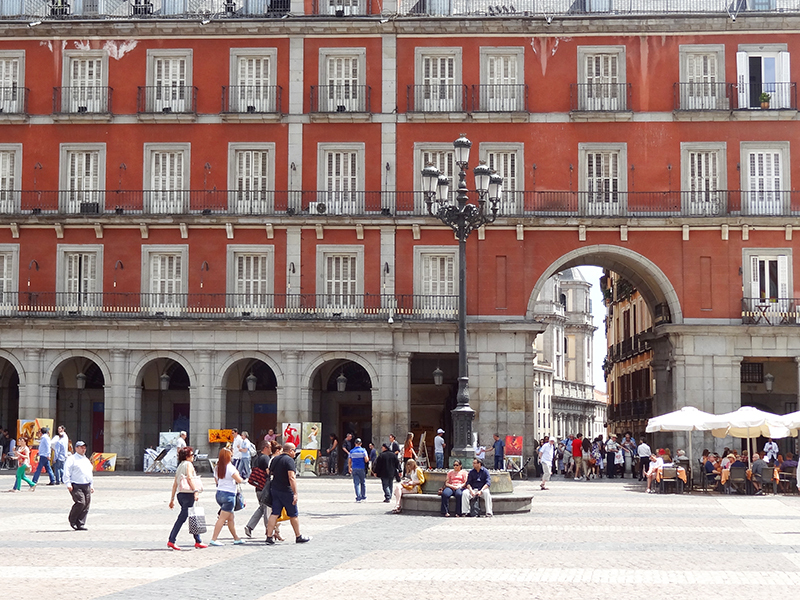 It’s Madrid’s most famous square and for most Madrileños, the real heart of the city. All distances in Spain are measured from a marker on the plaza in front of the old post office. Since the 15th century, the “Gateway of the Sun” was a city gate adorned with an image of the sun. Today 10 streets converge on it, three metro lines cross it, and many bus lines either begin or end here. All contribute to the crowds in the plaza, which is always teeming with pedestrians, tourists, buskers and street musicians. It’s much like New York’s Times Square, especially on New Year’s Eve. Then people flock here to watch the clock on the tower of the post office strike midnight. Many still follow the custom of swallowing a grape on each gong. El Rastro is one of the most famous flea markets in Europe. Originally a slaughterhouse, it is now well over 100 years old. The market is held every Sunday and often draws huge crowds. You will, however, find vendors here on most other days of the week, as well. If you go, be careful with your valuables since it is Ground Zero for pickpockets. After visiting the market walk through the surrounding La Latina, one of the old working neighborhoods of the city. You’ll find some interesting antique shops along the main street leading from the market. While the setting for Museo Reina Sofia – in an old hospital ­– is unique, its collection is even more so. 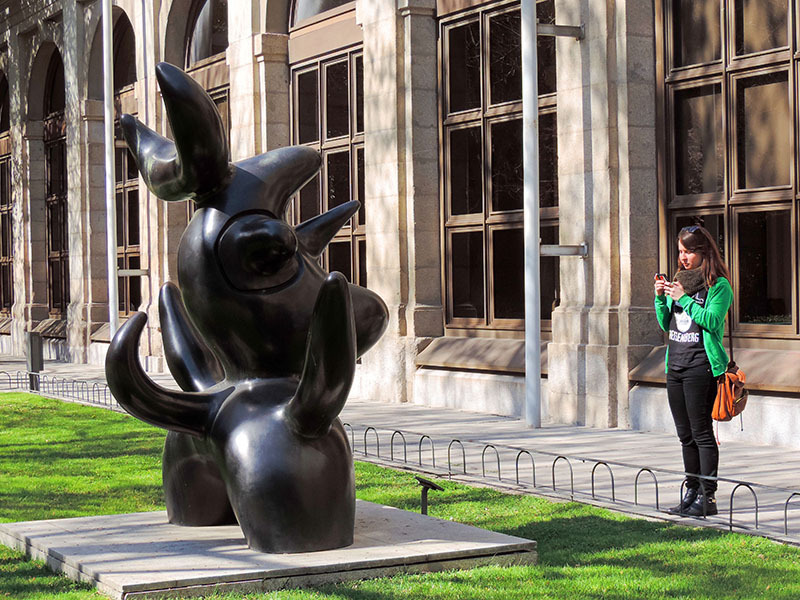 It focuses on 20th– and 21st-century Spanish art both inside and in its garden and hosts exhibits from other museums. The collection revolves about works by Salvador Dali, Juan Miró, and Juan Gris, the masters of the interwar period. The jewel and centerpiece of the museum, however, is Picasso’s powerful Guernica in Room 206. There are also lesser-known Spanish painters and sculptors are in the collection. The museum shop sells jewelry and ceramics by Spanish designers in addition to the usual museum-shop offerings.